My son is doing better. He turned the corner last weekend and two weeks of crappy eating slowly came to an end. In fact, this week he ate more than usual at breakfast and dinner. My husband and I are wiping our brows. Phew! For Valentine’s Day I sent my little guy a rice heart. I have noticed he’ll eat more rice when it’s shaped than when it’s loose (find the product here). 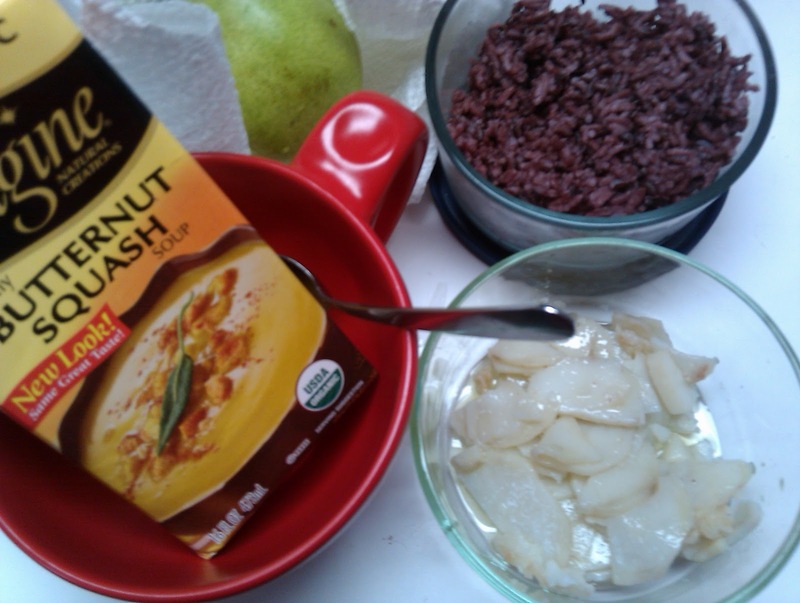 When I made the rice, I used 1.5 cups white rice to 0.5 cups black rice, which you can purchase at Asian grocery stores. I like diluting the black rice, because when I have made “pure” black rice, it’s a little over-powering. 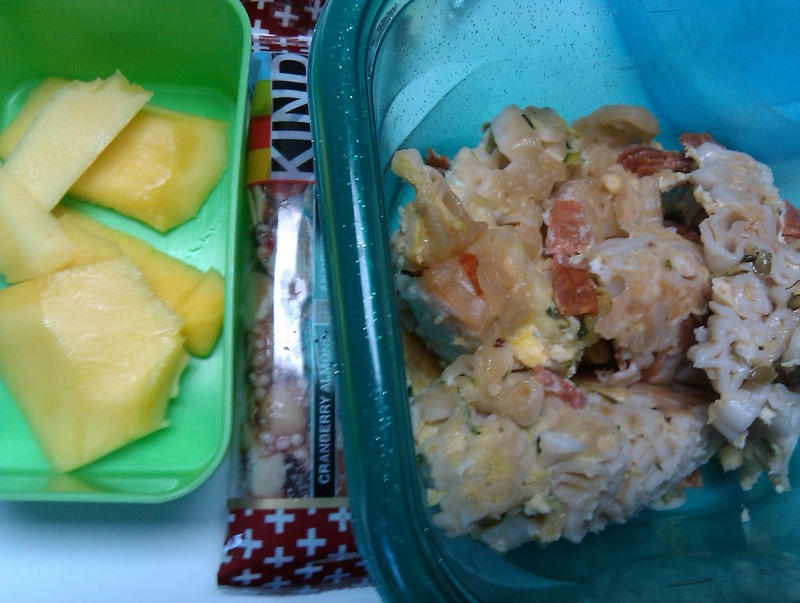 This lunch felt sparse to me, but I after roughly two weeks of poor lunch eating, I scaled back a little. They didn’t give him the lollipop so when we left the daycare and people were handing out bright red cookies and milk chocolate, he was happily sucking on a Yummy Earth lollipop. Sometimes I feel like a food prude but it’s my son’s tummy and health at stake and I won’t compromise. 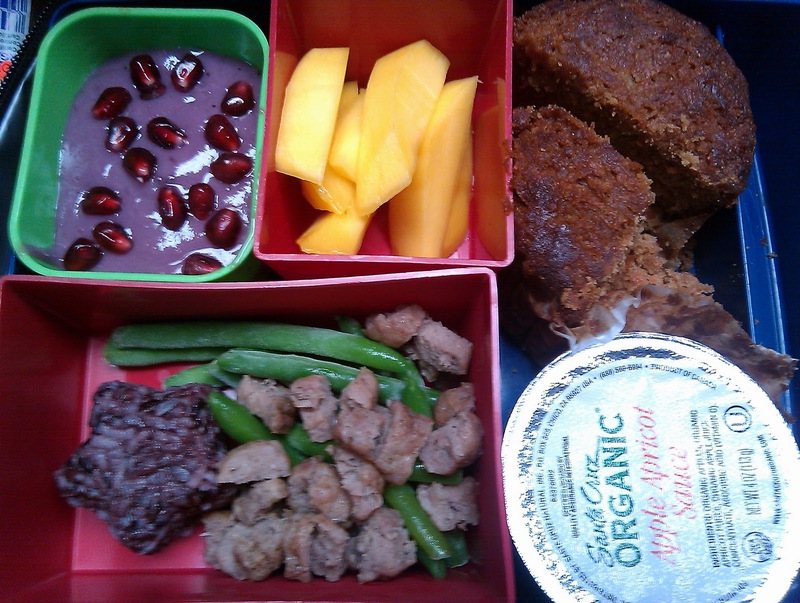 Daycare menu: soynut butter and jelly sandwiches, mandarin oranges, peas with yogurt and fruit as snacks. I went with the school lunch rule that potatoes are a veggie and sent them with my son. I prepared them by slicing them thin and frying them in olive oil with a little sea salt. I thought they were perfect. I sent smoked salmon because my kid loves it. He gobbles it down. I have to agree that it is amazing. Daycare menu: ground beef and rice, diced pears, diced carrots, with fruit and ice cream as snacks. 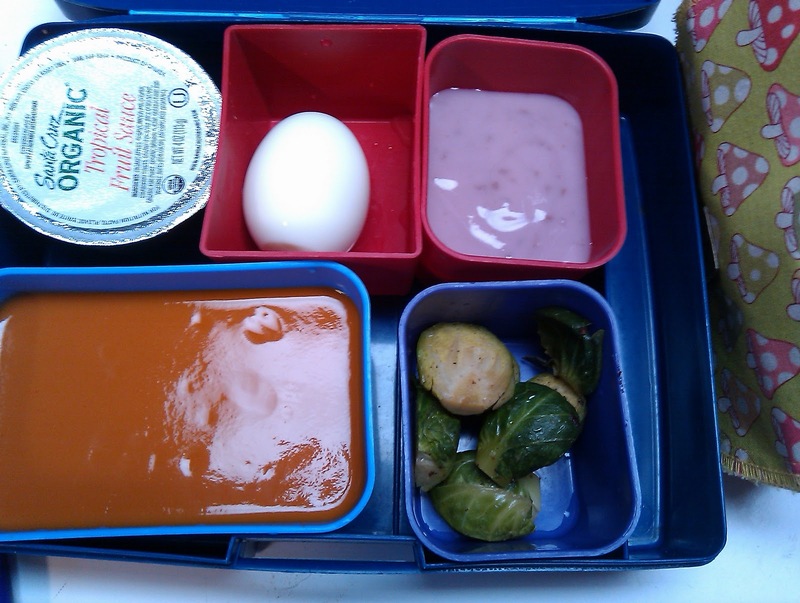 Of all of this week’s lunches, this was his favorite. I was told he ate everything. When I saw the gf fish sticks on sale at the store, I couldn’t resist. 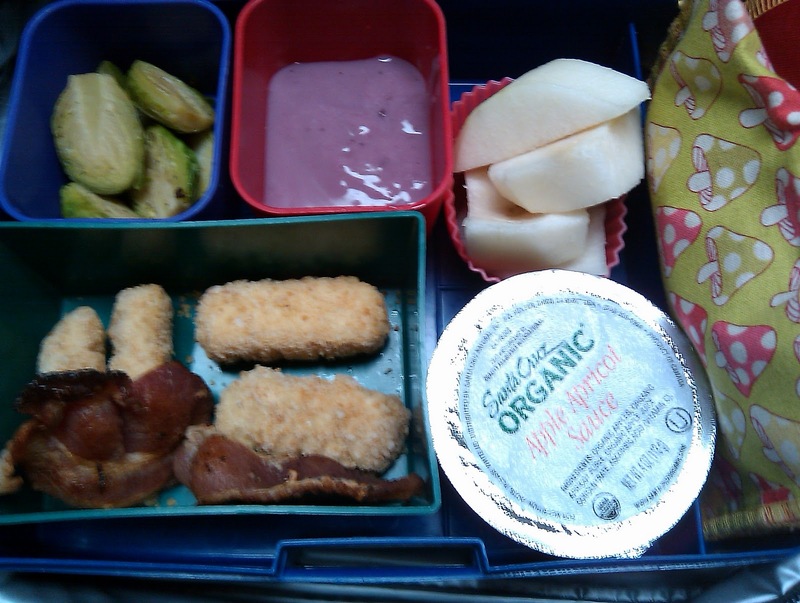 Have you noticed a lot of bacon and applesauce in my son’s lunches? Yeah, I see a trend. It’s hard not to send him with things I know he’ll love. 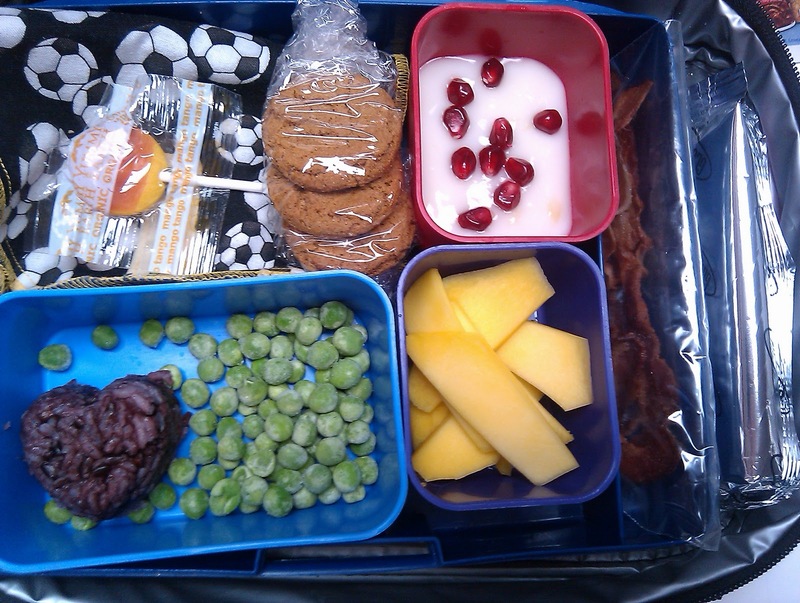 Daycare menu: chicken patty, wheat bread, applesauce, peas with yogurt and fruit as snacks. He loves tomato soup so I sent some. 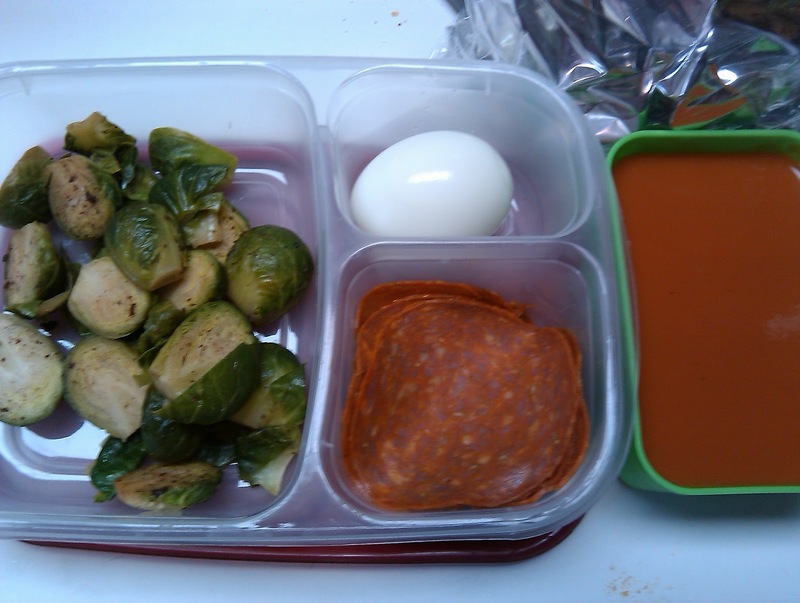 I also brought the same for myself in my lunch (see below) and I found it to be saltier than I remembered. Daycare menu: cod nuggets, chicken and rice soup, diced peaches, baked beans with fruit and cheese & crackers as snacks. 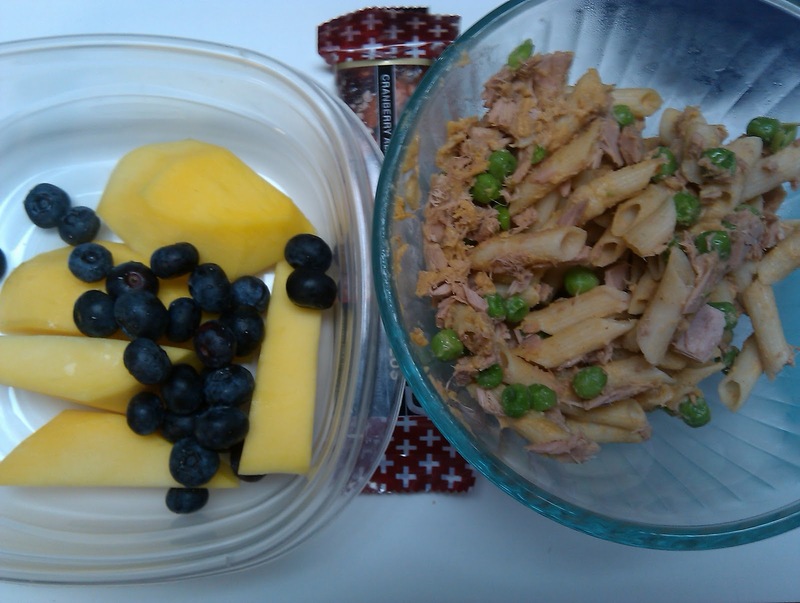 I used that packaged “mac and chreese” stuff I mentioned before and added tuna and peas. Quick and easy dinner on a weeknight. Plus tuna and pasta is a comfort food for me. I modified the original recipe (from the book I reviewed last week) to make it gluten and dairy free. It was good. I could have used more zucchini though. Or maybe I just used too much pasta! I was nauseous on Wednesday. In fact, I was so nauseous in the morning that I joked to my husband that maybe I was pregnant. Just so it’s clear, I’m definitely not pregnant. But I was terribly nauseous and didn’t eat much breakfast. 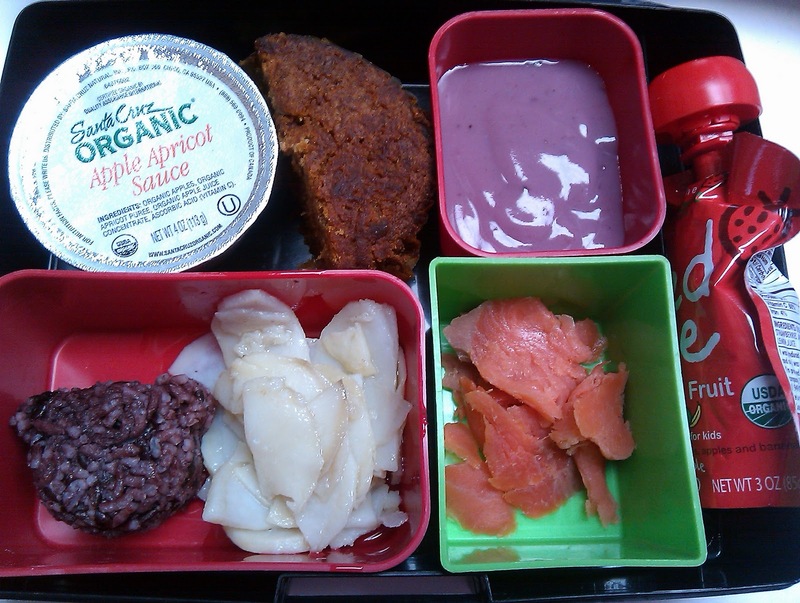 I had a tough time making my son’s lunch and throwing something together for myself. I didn’t have a clue what would appeal to me so I brought plain foods. The nausea was there all day and when lunch rolled around I didn’t want to eat much. I ate half a bowl of soup and once pear. If what I had was what my son had last week, no wonder he didn’t want to eat. I felt like myself on Thursday after a good night of rest. I brought a microwave meal to work for the first time this year. I wasn’t able to do any cooking the night before because I was not feeling like myself. The day before I had left the rice at work in case I still wanted to eat something plain the next day, but I didn’t want to eat it. So I went ahead and heated up the frozen meal. You want to know something? Multiple coworkers commented on my meal! This was the first time anything I have eaten attracted any attention (probably because I eat weird food). They all said my lunch smelled great — it tasted good to me. It’s a hodge-podge lunch for sure. I made little cracker sandwiches with the pepperoni — it’s like my own whacked version of lunchables! And there you have it. Im so jealous of people who get to have hot lunches at work. we only have a hot water tap. I love the Amys GF/DF frozen meals for emergencies! all of these meals look great! 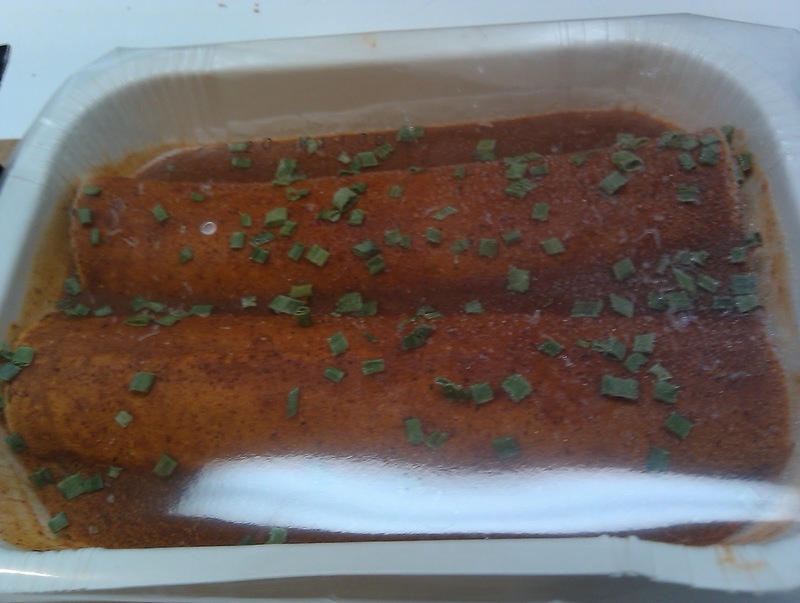 Funny about your coworkers commenting on the good aromas from the Amy's frozen meal – I almost always take my own food, but on the rare occasions when I do take a frozen meal, it is always one of the Amy's brand. And, the other teachers ALWAYS comment on the good smells! I also really like the frozen meals from Trader Joes. They've got these pad thai bowls that totally rock. They're in like, a layered bowl thing with sauce in the bottom bowl which steams the pasta and veggies, then you dump it all into the sauce and mix it up and it is soooo gooood. It's been years since I've had one though, so I have no idea what the nutrition facts are. It was delicious, so I'm wondering if it was totally salt laden? Their pot pies rock too. For two glorious photos I was wondering if your son's daycare had seen the light and was serving decent food to the kids (fruit and yogurt as snacks, fruit and muffins as snacks…) and then the ice cream came and all of my hopeful optimism came crashing down. Seriously. WHAT THE HELL? I always enjoy your lunch wrap up posts! Thanks, Mrs. Q! I read an article on Yahoo! 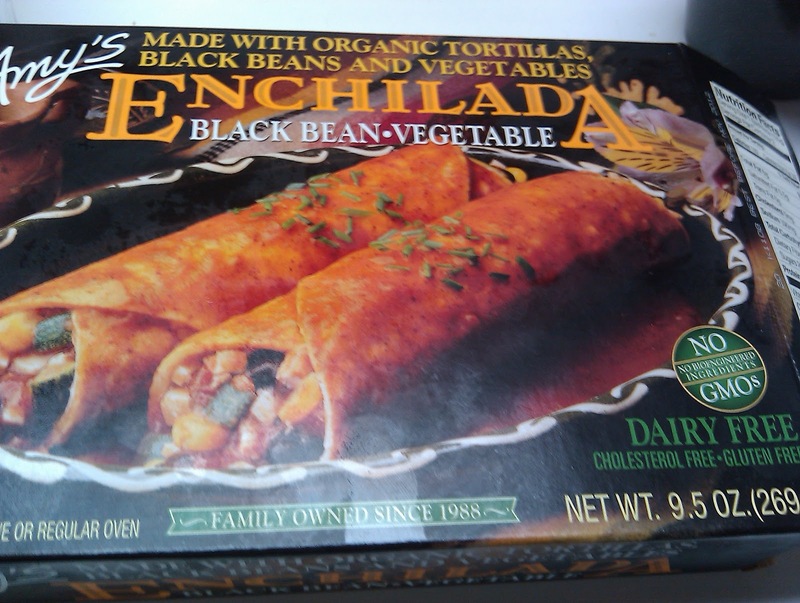 last week that Amy does some private label Trader Joe's frozen meals. Perhaps the one you like is actually manufactured by Amy's!?!?! Actually, the daycare's lunches don't sound so bad this week. Monday's especially sounded good. These are a great idea but I've seen you put bacon into his lunch every once in a while, is that a favorite of his which is better for him to eat than a processed snack or is it just left overs from breakfast?